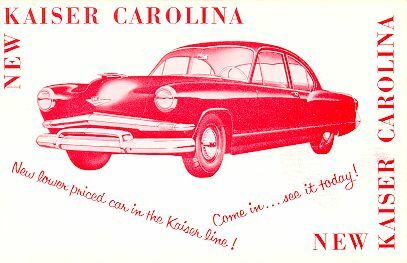 1953 Kaiser Carolina -- price leader. 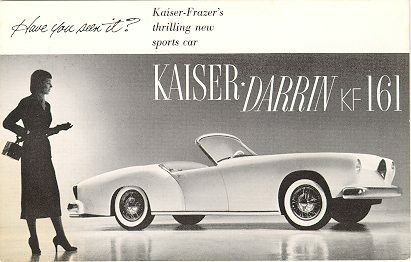 1953 Kaiser Carolina--showroom traffic builder. 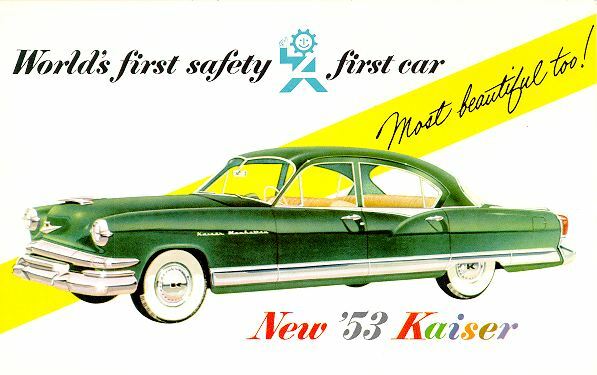 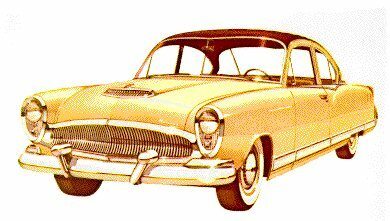 1953 Kaiser--world's first safety first car. 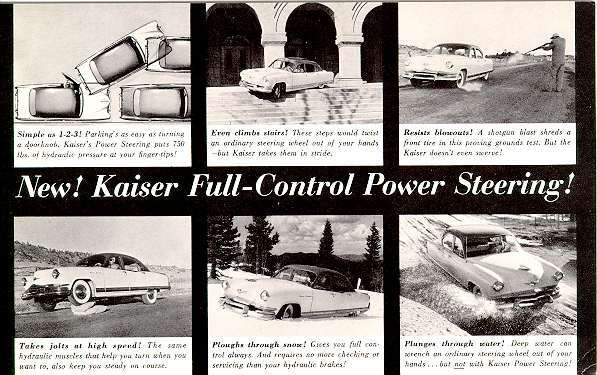 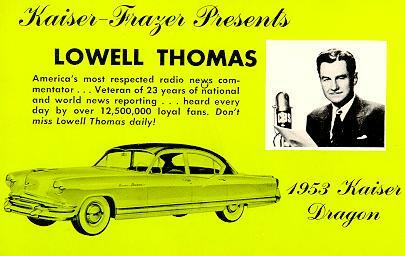 1953 models introduced power steering. 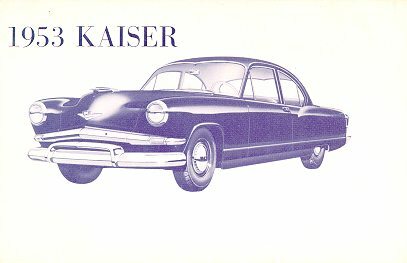 1954 Kaiser Manhattan two door sedan.